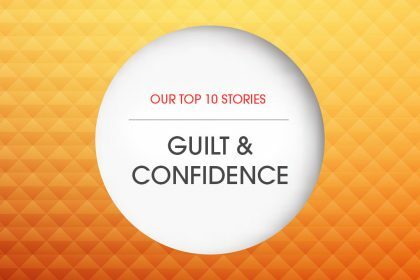 Is worry affecting your work and haunting your free time? 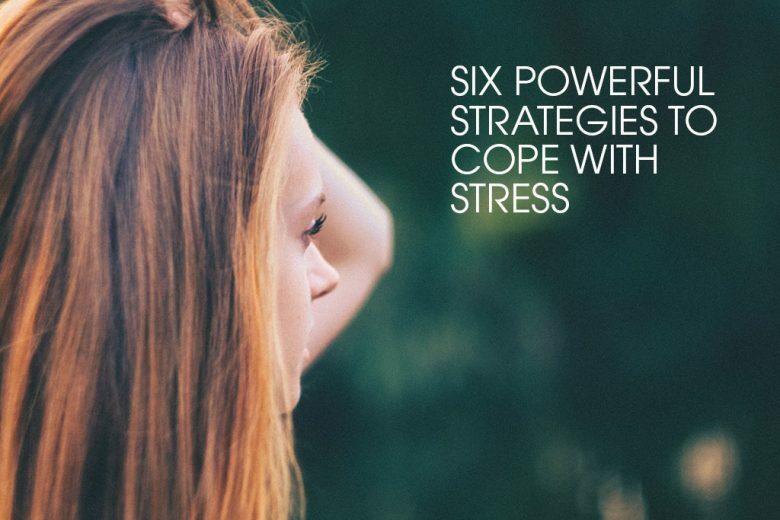 Discover six powerful strategies to cope with stress. The word ‘stress’ is easily and frequently used by most of us on daily basis – and with good reason. 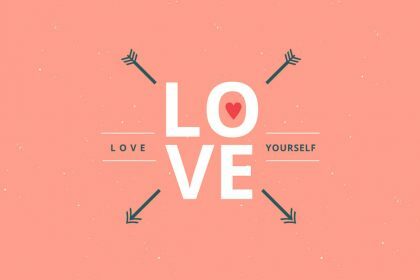 Juggling multiple responsibilities and dealing with the challenges of work, raising children and maintaining a healthy relationship with your partner, can eat into your emotional resources and leave you feeling worried and anxious. 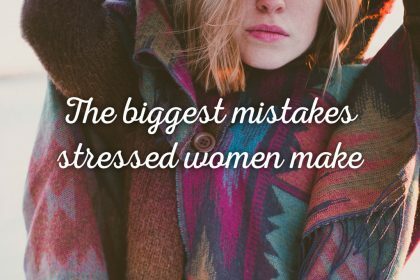 Not to mention overwhelmed, frazzled, exhausted and depleted! 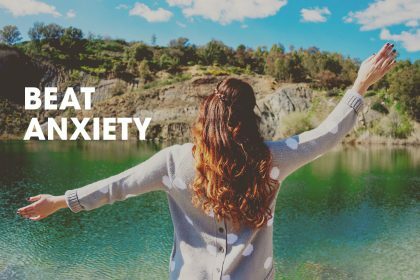 To help you learn to manage the everyday stressors we all face, Dr Sharon Galor, is kindly sharing six powerful strategies for dealing with anxiety. There never seems to be enough time for everything that we need to do. Time often passes by without us even noticing, which can leave us struggling to progress. We can feel overwhelmed and like we’re not really getting anywhere. It’s important to understand that trying to catch up by working harder and faster doesn’t necessarily make you more efficient. Nor does it guarantee more successful results. The key to avoiding overwhelm is actually very simple: prioritise. And not just any old prioritising, you need to have a proper strategy. This means not just ranking the tasks you need to achieve, but also ensuring that you have the motivation, discipline and consistency to execute the tasks according to your action plan. So when making your to-do lists, schedule your daily tasks based on a sense of urgency, value and importance (a success list can really help with this), while keeping in mind that you need to find balance between all areas of your life and your different roles (for example, family, marriage, health, personal development, friends and professional development). Your structured schedules should also represent your values, goals and desires. That will give you a sense of coherence, meaning, fulfillment, as well as, boost your motivation and focus. Being too demanding and striving to stick to a strict and unrealistic schedule and/or standards is counterproductive. Instead, it’s important to ensure that your goals are achievable. If they’re too big, break them down into more manageable steps and celebrate each small achievement. You also need to accept that in life there are many influential and external factors, which may interrupt or disrupt your plans. These factors are often beyond your control (such as other people or traffic). Being able to adapt to others and adjust your schedule when situational factors demand it, will reduce your stress levels and self-criticism. Sometimes in order to reduce stress levels, you might also need to compromise by changing your behaviour, a task or a deadline. Or you might realise that your best solution is to delegate responsibility. 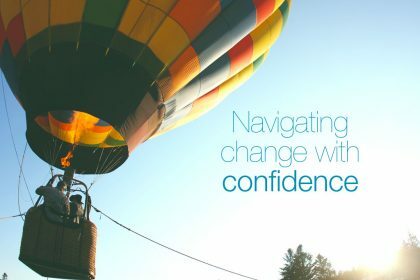 Unexpected negative situations that are outside our control, such as accidents, conflicts and mistakes that have big consequences, are a big cause of stress. And when your stress levels rise, your body responds by going into its fight or fight mode. To regulate this physical reaction, try deep breathing. Sit comfortably with your feet flat on the floor and take slow deep breaths. Concentrate on the effect each long, slow breath in and out has on your body. Doing so will redirect the focus of your mind on your breathing, rather than on the situation and your distressing thoughts, which will have a calming and relaxing effect. During the day, if you need it, take a break – this will help you to relax, refocus, recharge and calm down. It will also regulate your emotions and contributes to a sense of control, which also help you to be more productive. Writing, music, meditation, sports, walking through nature, art, and talking to a friend are examples of positive activities you can do while on a break, to express and regulate your emotions. Your anxiety levels can rise when you worry about something that might happen in the future (for example, imagining that an important pitch goes badly). Sometimes we can fool ourselves into believing that by worrying we’re actually accomplishing something (preparing for the situation), but in reality you are in exactly the same place – just more stressed! So don’t confuse worrying with problem solving! Instead of worrying about imagined future problems, why not look at your actual present problems and see if there are aspects that you can solve at this time. If there are parts of your situation/predicament which you know and can control right now, find a solution and solve that problem. Start brainstorming possible solutions and make a list of all the ideas that pop up in your mind. Write them all down, without judgement – even the smallest and the craziest idea might have some merit to it. Then evaluated your options, choose the best solution and make a plan of action. Carry the plan out, evaluate the results and draw conclusions accordingly. Taking positive action, however small (rather than passively worrying) will help to reduce worrying and stress. No one enjoys conflict and uncomfortable situations, and it’s impossible not to be affected by them. So if you have to deal with difficult people, try to find a way to cope with them positively, or minimise your involvement with them. In order to solve a conflict, you’ll need to change your attitude from the beginning, and avoid playing the blame game (even if you think you’re in the right). Rather than trying to win points (or an argument), see conflict resolution as starting a dialogue between two different positions that hope to achieve a win/win resolution. This means you’ll need to listen carefully, clear misunderstandings, summarise, paraphrase and mirror the other’s position to show understanding and caring. When explaining your point of view, use statements like ‘I feel that…’ rather than ‘You make me feel…’ and try to seek others’ opinions and compassion, and understand their needs. Open dialogue is an essential component of problem solving, so make a conscious effort is to control your anger and frustrations, and communicate in a positive way. Take a break during your discussion if you need it, to refresh your face with cold water, breathe deeply and think of what more you can do to move the conversation towards a resolution. Think of any solutions that have not been raised yet, and resume your discussion by brainstorming possible solutions together. Evaluate the pros and cones of each suggestion, and try to agree on a solution that has the most pros for all sides. Then decide on an action plan and carry it out. Visualising catastrophes may increase your stress, but visualising success works just as effectively to reduce it. 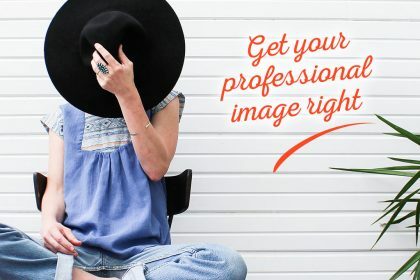 To use visualisation positively, sit in a quiet and distraction-free environment, and paint a detailed image in your mind of you performing the stress-provoking task. Go slowly, step-by-step and see yourself performing the task and having a successful outcome. Or you being in the threatening situation and overcoming your anxiety and feeling confident. Go into the little details that involve all your senses (pay attention to what you see around you, smells, sounds in the background, clothes that you wear, how you are stand, what are you touching, what will you do, what will you say and how would others react etc). Also, think about what obstacles might occur and how will you overcome them. Then imagine yourself doing it. What will it look and feel like to successfully conquer your obstacles? Draw confidence from that image and the empowering and positive feelings it generates. Need more advice on anxiety and stress? You can get a FREE easy stepwise know-how guide to problem solving, packed with the right questions and strategies for finding the best solution to your stress problems here. Alberti, R. E.,& Emmons, L. M. (2001). Your Perfect Right: Assertiveness and Equality in Your Life and Relationships. Atascadero: Impact Publishers.